I Spent Three Years at Cambridge University and It Made Me an Arrogant, Entitled Brat! Cambridge University’s infamous week of post-exams decadence ended over a month ago now and the ‘aftermovies’ are still trickling in. As a recent graduate and cynical alumnus, my newsfeed is still cluttered by their presence, most notably this one from St John’s College May Ball filmed with drones and steadicams and no doubt costing the same as a fully-funded scholarship for a child at an inner-city comprehensive. My disillusionment with Cambridge existed on a hypothetical plane probably before I even arrived at University, but it only took substantive form in my final term. I always knew it was an institution that used academic excellence as a byword for selecting the children who attended the most expensive schools. And I knew from experience that nepotism, although it may have changed its stripes, still ruled supreme. dition at institutions like Oxford and Cambridge were being used to prop up the class system in this country. Black-tie dress-codes, five-course dinners in oak-panelled halls, £200 ball tickets: I don’t know how it hadn’t hit me earlier that here was an institution that not only allowed but encouraged entitlement to breed under the guise of tradition. I once spoke to an access officer who argued tradition and posterity were an important part of Cambridge’s appeal for many prospective applicants. The customs and rituals made for an exciting experience for people who had never encountered them before. They liked it. And I understand that. While I by no means came from a disadvantaged background, prior to University I had only worn a suit twice, once at my end-of-GCSE prom and once at my sixth form prom. I’d never tied my own tie and my school hadn’t even had a uniform. So at first, getting tarted up for a three-course dinner in a 15th century hall did feel pretty cool. But after about a year something strange happened. Wearing a suit no longer held the same resonance it had back in fresher’s week. Being served food by people the same age as me was no longer embarrassing. And although my financial situation had in no way changed, spending £130 on a May Ball no longer made me wince. And herein lies the problem. While by no means the majority of students enter Oxford and Cambridge as entitled little brats, the dominant culture normalises a particular attitude which means many of them may leave changed. At its root it is a form of socialisation. For the old Etonians this is all already well within their stride. May Balls are simply a continuation of any 16th birthday party they’ve ever been to. While that May Ball may not have been as good as their cousin’s 21st bash in Dubai, it was fun nevertheless. The troubling part is what it does to the rest of us, those who came from a background where that level of decadence and debauchery isn’t normal, even on very very very special occasions. Those of us for who throwing rubbish on the floor and expecting someone to pick it up is reserved for toddlers, and spending £160 on a night out the result of having your card stolen. opposite of what we should be doing with our brightest young people – sending them through the same machine we’ve been getting trapped in for centuries. It’s true not all of Cambridge’s excesses are compulsory. 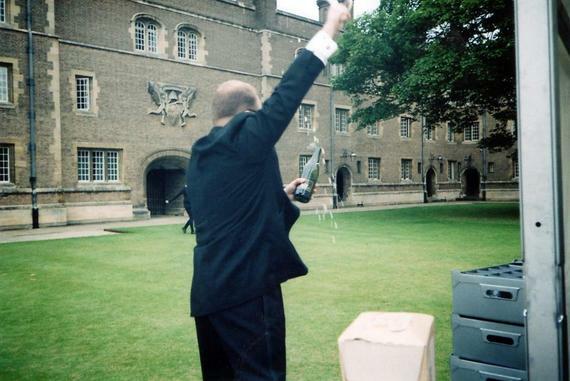 Most of the time no one’s making you eat in formal hall or buy a ticket to your college May Ball, but there’s no denying the resounding expectation. You’d have to be fairly strong-headed to not even attend your own college’s May Ball, while “I can’t afford it” is the sort of comment that causes uncomfortable looks rather than being the expected response to “why aren’t you going to an event that costs over £100?”. some colleges actually willing to charge workers for the privilege of working 4-5 hours ‘on’ before enjoying the same ‘off’. Even at the balls that don’t charge, however, working can be a demeaning occupation, with a student who sat two seats away from you in an exam last week now demanding you, “Come straight to me when the next tray of sushi arrives”. Relatively speaking though table-waiting is one of the better types of employment. 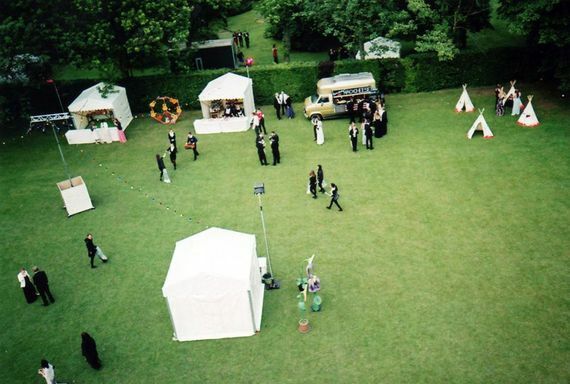 At St John’s May Ball this year, some half-on half-off workers paid £80 for the privilege of picking up guests’ litter for 5 hours. In a gesture of excess, the committee had adopted a ‘no bins policy’, encouraging guests to drop their litter on the floor rather than renting bins for the night. The Marie-Antoinette prize went to one sensitive guest who took the time to ask one lucky litter-picker, “don’t you find this work demeaning, why didn’t you just buy a ticket?”. I also paid for the privilege of working at that ball, for my part checking wristbands. I went with a group of finalist friends and we had decided it would be our third year blowout. I remember sitting at my station, thinking about all the things I could have bought for £80 (Air Force 1s, a Nespresso machine, return flight to Istanbul), when the firework display started going off above my head. Dance of the Knights – the score synonymous with the capitalist TV saga The Apprentice – blared out over a thousand golden fireworks built by a hundred crying children as Peregrine and Cornelius cracked open another bottle of Bolinger and discussed what their third MPhils should be in. And with that flourish, at just over £160 a night, I saw how extreme privilege becomes normalised. For these people, Cambridge is socialising them into entitled sociopaths, people who feel at home swigging champagne from the bottle while billions of pounds are cut from society’s most needy. The only thing these events go to reinforce is a sense of entitlement that is at the very core of the British class system. No wonder our politicians can justify fiddling tens of thousands in expenses when as kids they were told its OK to spend £1m organising an end of term celebration. Is it a coincidence that half the cabinet behind this month’s welfare cuts were socialised by a culture that associates tradition and excess with intelligence and natural superiority and then proceeds to monopolise both? Well you’ll just have to answer that one yourself. Let me know your opinion?..in my opinion..our country is f////;;;;;ed but hey you may feel otherwise!